There will be four new members to the Alvin Community College Student Ambassadors program for the 2019 Spring semester. ACC Ambassadors are an important element in attracting students and promoting the college’s mission. During the semester ambassadors will help provide information to potential students about ACC services, help create marketing strategies, conduct campus tours, work community events and even volunteer for College and Foundation events. Ambassadors receive a $600 scholarship for their 45-hour commitment. Returning ambassadors are Gabby Saldivar, of Alvin and Lindsey Walker, of Friendswood. The new ambassadors are: Lorna Craft, of Pearland; Karla Lopez, of Alvin; Garret Page, of Rosharon and Bianca Vargas, of Pearland. Craft chose to be an ambassador to make connections with her fellow students. Lopez said she has enjoyed her time as an ACC student and looks forward to assisting others. Page is currently serving as the president of the Student Government Association. He joined the ambassadors to provide guidance to other students. Vargas became an ambassador in order to enhance her college experience. “I chose to join the ambassador program at ACC because it seemed like a great experience filled with opportunities for me to learn more about the college and make new friends,” she said. For more information about the program, visit www.alvincollege.edu/recruiting/student-ambassadors. 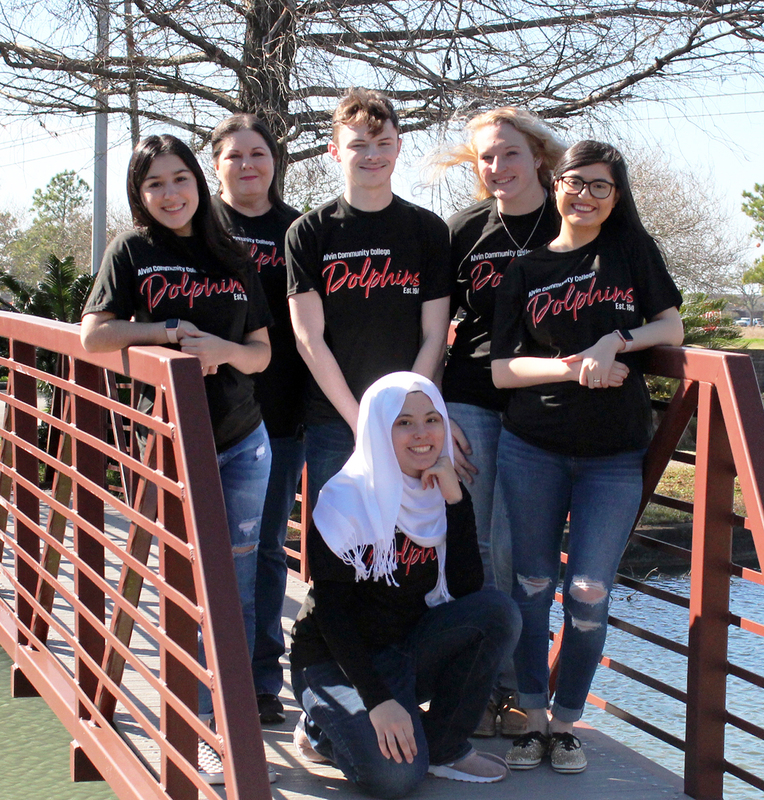 The 2019 Spring Student Ambassadors are, from left: Gabby Saldivar, Lorna Craft, Garret Page, Lindsey Walker, Karla Lopez, and Bianca Vargas (front, kneeling).